For my podcast I interviewed Paul Haney. Paul is a small-scale, niche market producer here in Louisville Kentucky. I met Paul at the Douglass Loop Farmer’s Market where he sells his Kentucky Kombucha. 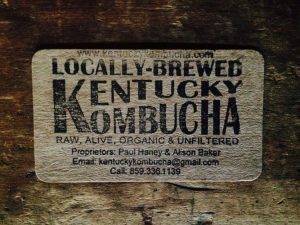 This podcast discusses how Paul became interested in agriculture, his transition from an organic farmer to a Kombucha brewer, and his advice for the next generation of foodies. Enjoy.